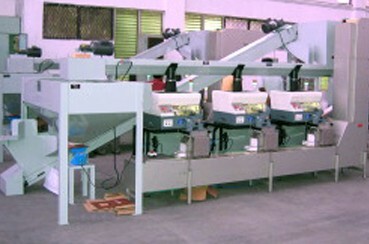 This Infeed Conveyor System is a critical part of any automated coin processing system. It features a recirculating process, which eliminates the need for specialized synchronization. 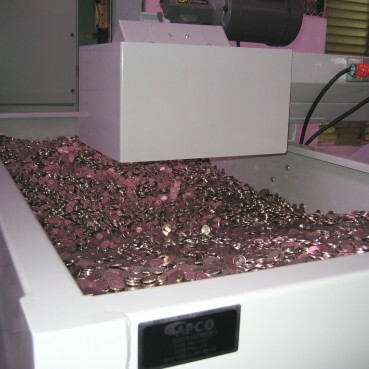 Loose coins are deposited in the large capacity hopper and then automatically fed to each of the coin processing stations. Once each station has been filled to capacity, the extra coins will be re-deposited into the large hopper for further processing. The large hopper has a capacity of approximately 400 – 500 kgs. System can be configured to suit your specific packaging needs.